Heading from the harbour we round the Western side of St Ives in the direction of Lands End. We soon pass St Ives landmarks such as The Island, St Ives Head, Porthmeor Beach and the Tate gallery. Our trip “five points West” is approximately 3.5 miles following the rugged Cornish cliffs and coves onward to Seal Island. 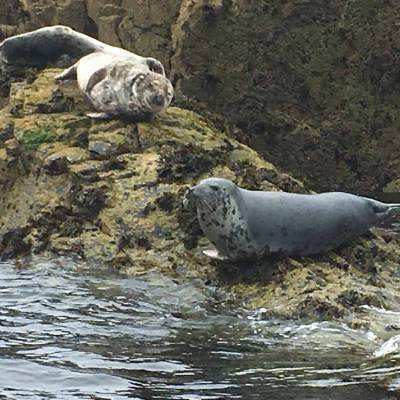 The island boasts an inlet allowing the boat to enter astern and allow a close viewing of the seal colony in the most natural of habitats. We stay for around 15 minutes before beginning the journey East, back to St Ives. 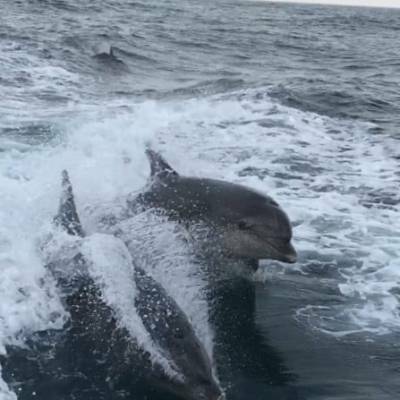 Book Now to see the Wildlife! 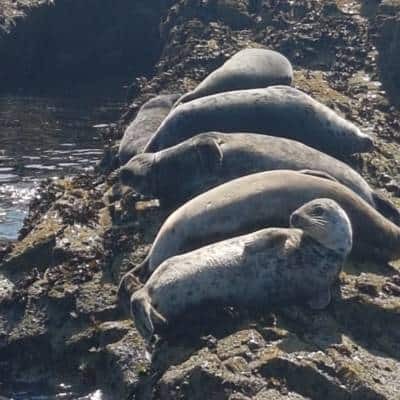 Occasionally, St Ives is lucky to have other marine wildlife, such as Basking Sharks, Dolphins, Porpoises and Whales hunting for food or playing close to the shore and it is on the excursion to Seal Island where these magnificent animals will be spotted.